Health Alliance International has been working in Mozambique for more than 30 years. The organization was founded in 1987 under the name “Mozambique Health Committee” with a mission to support the Ministry of Health in rebuilding central Mozambique’s damaged health infrastructure following years of armed conflict from civil war. Our work in Mozambique continues now with a focus on strengthening the government’s primary health care system; providing clinical, technical, and financial support to the public health system; and building management and leadership capacities by working closely with district- and provincial-level Ministry of Health officials. Health Alliance International has three offices in Mozambique, which are located in Beira, Sofala Province; Chimoio, Manica Province; and Maputo city. Please see the sidebar for links to Mozambique projects. Mozambique gained its independence from Portugal in 1975, following a decade-long resistance movement headed by FRELIMO (Liberation Front of Mozambique). 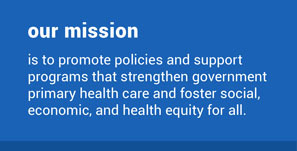 The new government was committed to social justice and equity in access to health care and education, and was a widely recognized model for the subsequent Primary Health Care programs globally. Their government also supported the anti-apartheid struggles in Zimbabwe (then Rhodesia) and South Africa. Because of this support, the apartheid governments of Rhodesia and South Africa created and funded a proxy war against the progressive government of Mozambique. Mozambique was also crippled in the mid-1980s by the imposition of harsh austerity measures, called Structural Adjustment Programs (SAPs). The SAPs were imposed by the International Monetary Fund, the World Bank, and the US Treasury, institutions comprising the “Washington Consensus.” The war came to an end in 1992 after peace talks and a new constitution in Mozambique which created a multi-party political system; however, the crippling austerity measures continued. Since then, Mozambique has struggled to recover economically from the war and SAPs. This process has been significantly hindered by the onslaught of HIV/AIDS and widespread poverty. It is in this context that we support the Mozambican Ministry of Health in building a strong and lasting health infrastructure and advocate for global economic policies that help the Mozambicans thrive.